Valentine's Day is right around the corner. 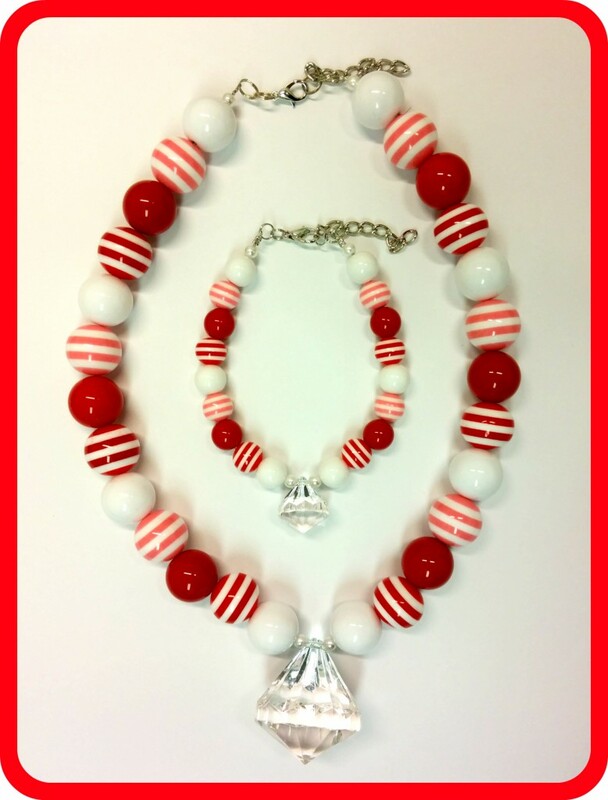 I don't know about you, but I love finding some great non-candy gifts for the valentines on my list. Do you have someone special in your life that cherishes their 18 inch doll? 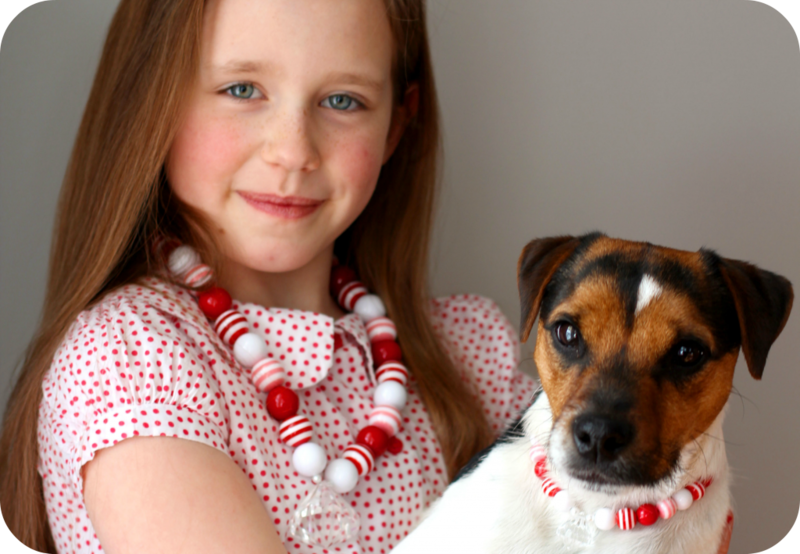 Then we have the perfect idea for you...why not make them matching necklaces (they could even share with their pup too!!!) Want to make some? Let's get started. 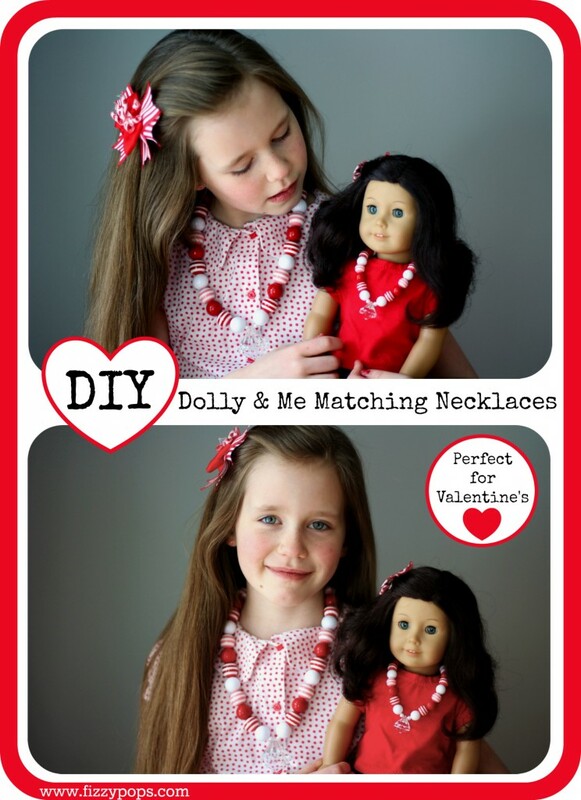 We have 2 easy necklace tutorials, choose your style. Of course, don't forget to take advantage of our Valentine's Promo and get 10% off your purchase until 02/14/2015. 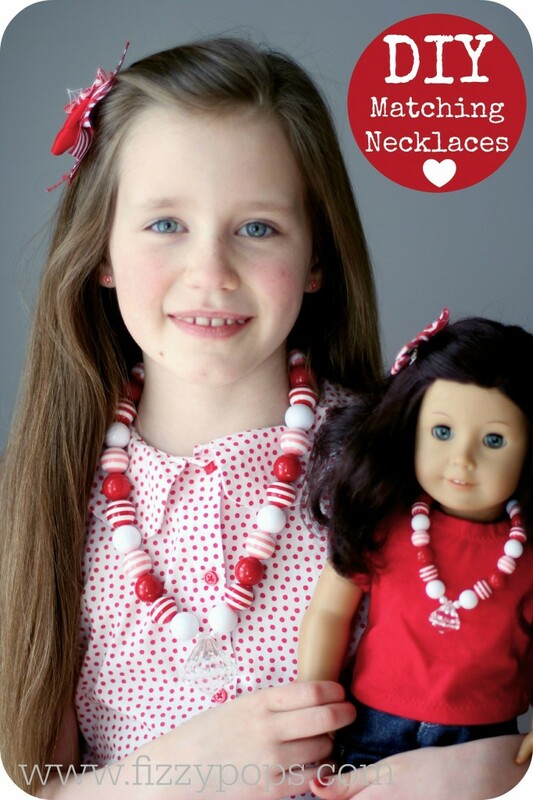 Lastly, be sure and check out our DIY American Girl Doll Crafts and Accessories for even more great inspiration! * A very special thanks to my sister Betsy with her mad photography skills and her beautiful daughter, Hazel, for modeling for me.